Are omega-3s absolutely necessary in our diets? Omega-3 and omega-6 fatty acids share the same pool of enzymes and go through the same oxidation pathways while being metabolized. Omega-6s are typically found as linoleic acid (LA), which is in many processed foods as well as meat, egg yolks and cooking oils, including sunflower, safflower, corn, cottonseed and soybean oils. According to Whelan, “A typical American #diet tends to contain approximately 15 times more omega-6 than omega-3 fatty acids.” This is one of the reasons some researchers say we need more omega-3s — to make up for this imbalance. And although we need both, the imbalance can increase risk for long-term health problems such as cardiovascular disease. Why not just reduce omega-6 consumption and close the ratio? “We don’t know to what extent high intake of omega-6 fatty acids compromises any benefits of omega-3 fatty acid consumption,” says Whelan. What are omega-3s, and is there a difference between the omega-3s in fish and those in walnuts? Omega-3 fatty acids are a type of polyunsaturated fat. There are a few types of omega-3s: EPA (eicosapentaenoic acid), DHA (docosahexaenoic acid) and ALA (alpha linolenic acid). “They are not the same thing. We have to stop talking about omega-3s and talk about DHA and EPA and ALA as separate fatty acids,” says Keenan. “All three are long chain fatty acids, but EPA and DHA are longer. They can be formed from ALA, but it’s not a process that the human body performs efficiently,” he adds. EPA and DHA, which come from fish oils, are the most valuable to health and wellness. Both play an important role in normal function of the heart, brain, eyes, nervous system, kidney and liver. These “essential” fats have also been proved to reduce the risk of cardiovascular disease and inflammation. ALA is found in leafy, green vegetables and some commonly used oils (e.g., canola and soybean). Some novelty oils, such as flaxseed oil, contain relatively high concentrations of ALA, but these oils are not commonly found in the food supply. “If you get ALA from walnuts, flaxseed or canola oil, it can be beneficial because it gets converted to DHA and EPA, but that’s only if ALA is already lacking in your diet, which it probably isn’t,” says Whelan. Eating more ALA just for it to be converted to EPA and DHA is not recommended — “The amounts converted are very small, and in the long run, ALA starts to replace the needed DHA in the tissues — not a good thing,” adds Whelan. According to most research, ALA is not a viable source of EPA and DHA and cannot replace fish and fish oils in the diet. “ALA is still a good guy with its own benefits, even if it’s not converted. ALA helps to temper or reduce cardiovascular risk,” says Whelan. However, Dr. Whelan believes that ALA, while not as effective as EPA and DHA in reducing risk of cardiovascular disease, might work independently, helping reduce risk in other ways than simply being converted to DHA and EPA. Why are omega-3s getting so much attention? One of the key health benefits of omega-3 fatty acids is that they significantly reduce the risk for sudden death caused by cardiac arrhythmias and decrease all-cause mortality in patients with coronary heart disease. In addition to helping regulate the heart, omega-3s prevent the formation of clots and act as anti-inflammatories. In fact, the U.S. Department of Health and Human Services, Agency for Healthcare Research and Quality studied omega-3s and concluded that, “Overall, a number of studies offer evidence to support the hypothesis that fish, fish oil or ALA-supplement consumption reduces all-cause mortality and various CVD outcomes, although the evidence is strongest for fish or fish oil.” If you look at the studies, many with thousands of participants, the research looks very strong. Keep in mind, this is not like echinacea, where you will one day wake up and read that it has no effect — this is based on strong, well-documented research. It should be noted that although there are certainly studies showing benefits for primary prevention, the research is strongest for EPA and DHA for secondary prevention — meaning that they’re most effective in people who already have heart disease. In fact, last year the FDA allowed the following claim to be placed on certain foods: “Supportive but not conclusive research shows that consumption of EPA and DHA omega-3 fatty acids may reduce the risk of coronary heart disease. One serving of [name of food] provides [x] grams of EPA and DHA omega-3 fatty acids. [See nutrition information for total fat, saturated fat and cholesterol content. ]” The label must state how much omega-3 fatty acids the product contains; however the FDA didn’t require the food to contain a minimum amount of omega-3s to carry the claim. “This could be one of those nutrients that becomes a ‘magic bullet,’ but we don’t say things are conclusive until there have been many studies. And with heart disease, we say it’s conclusive. There are many other things that they’re looking at that are looking strong but are not quite there yet,” says Debra Palmer Keenan, Ph.D., a nutrition professor at Rutgers University in New Jersey. Omega-3s (specifically DHA and EPA) are being examined for other health benefits including: treating rheumatoid arthritis, ulcerative colitis and Crohn’s disease (because of their anti-inflammatory properties); treating depression and other psychological disorders (because they may boost levels of the brain chemicals serotonin and dopamine, decreasing depression and violent behavior); reducing the risk of diabetes, insulin resistance in people with diabetes, psoriasis and other skin conditions; helping osteoporosis (because they may enhance bone density); and fighting cancer (they may inhibit proliferation of cancer cells in the breast, prostate and colon). In infants, omega-3s may improve cognition and visual acuity. What are the sources of omega-3s? Sources of ALA include soybeans and soybean oil, canola oil, walnuts and flaxseeds and their oils, whereas sources of EPA and DHA are fatty fish, such as salmon and tuna, and their oils. For a complete list of omega-3s (broken down into DHA, EPA, and ALA) and where to find them, check out www.ncbi.nlm.nih.gov/books/bv.fcgi?rid=hstat1a.table.38454. The FDA advises not to eat shark, swordfish, king mackerel or tilefish because they contain high levels of mercury. However, five of the most commonly eaten low-mercury seafood are shrimp, canned light tuna, salmon, pollock and catfish. Another commonly eaten fish, albacore (“white”) tuna has more mercury than canned light tuna. You can take a look at the mercury levels in commercial fish and shellfish on the FDA Web site at www.cfsan.fda.gov/~frf/sea-mehg.html. “Fish-oil supplements are an excellent way to get EPA and DHA. So far, they have lacked contaminants such as mercury and PCBs, probably because smaller fish are used to make the oils and contaminants tend to stay with fish muscle and not the oil, and most products also undergo distillation, which removes contaminants. The real quality concerns with both fish and seed oils are that they not be spoiled and that they contain all the oils that they promise. This is not always the case,” says Tod Cooperman, M.D., ConsumerLab.com’s president. To find out information about the best omega-3 from fish-oil supplements visit www.consumerlab.com/results/omega3.asp and for omega-3 seed oils visit www.consumerlab.com/results/flaxseed.asp. Can you get omega-3s without eating fish? There are new products on the market made with encapsulated fish oil — so it doesn’t smell or taste like fish. However, Dr. Whelan is not so sure that the benefits will match those from eating the actual fish. If you’re not getting omega-3s from any other sources, supplements are a good option, but we don’t know enough to say that the fish doesn’t have other properties working in conjunction with omega-3s to create these purported health benefits. Arnold Smart & Healthy Omega-3 bread: one slice, 33 milligrams omega-3s (DHA and EPA). Smart Balance Omega Plus Spread: 1 tablespoon, 150 milligrams. I tried the Arnold bread and a bread made from National Starch (they manufacture the encapsulated fish oil) and they were very good. I could not detect any fish taste. Also becoming popular are foods fortified with ALA, such as Barilla Plus Pasta and Health Valley Golden Flax Cereal. 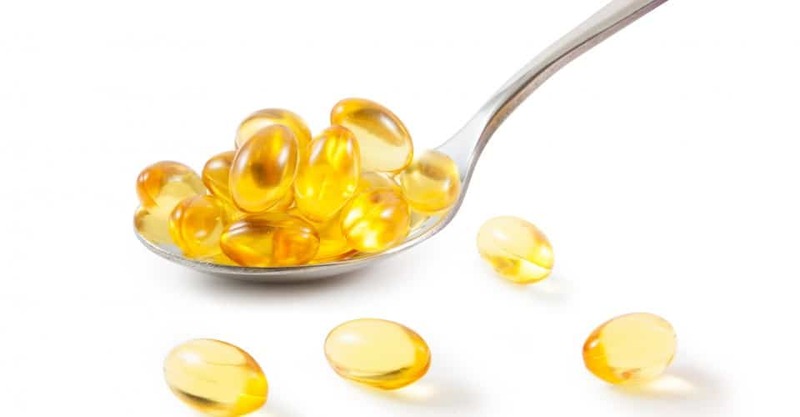 Omega-3s in fish oils, algal oils and linseed oil can be highly susceptible to oxidation, which deteriorates flavor, increases the risk of rancidity and reduces shelf life. However, the food industry is working around these issues, and — according to the Institute of Food Technologists — it expects to see omega-3 fortification in the future in the following products: frozen-food entrees, soups, refrigerated foods, salad dressings, yogurts, spreads, juices, egg products and cheeses. How much do I need to consume in order to reap the benefits? Using the estimates from USDA’s special analysis (see above), 8 ounces of high omega-3 fatty-acid fish would provide approximately 3,250 milligrams of EPA and DHA a week — an average of slightly less than 500 milligrams per day, which is about a two-fold increase over current intake. Adverse effects are not observed until intake exceeds 3 grams per day. The American Heart Association’s recommendations state, “Patients without documented Coronary Heart Disease (CHD) should eat at least two servings of fatty fish per week along with other foods rich in omega-3 fatty acids. Persons with CHD are encouraged to eat at least one daily meal that includes a fatty fish or take a daily fish-oil supplement to achieve a recommended level of 0.9 grams per day of EPA.” The association also recommends, “People who have elevated triglycerides may need 2 to 4 grams of EPA and DHA per day provided as a supplement.” They recommend the supplements because “even the 1-gram-per-day dose recommended for patients with existing CVD may be more than can readily be achieved through diet alone.” They also suggest, as do most experts, consulting your physician before taking this or any other supplement. Also keep in mind that if you’re eating fish, you certainly don’t want to get if battered and fried — it pretty much defeats the purpose.